Lately I've been spying a lot of rag rugs in magazines and on pinterest and I've fallen in the love with the whimsical, casual look of them. Urban Outfitters was selling them as are several online stores and etsy sellers...which means that I must look into making one myself. After all, why buy something that can easily be diy'ed? 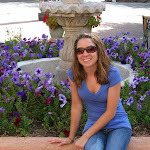 Here are some inspiration pictures I've been using to tide me over while I gather supplies. 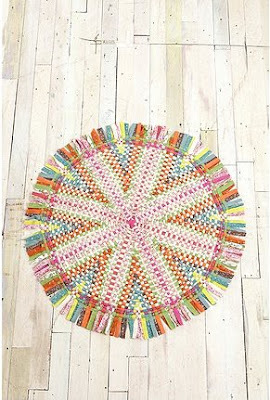 This bright and fun rug would definitely brighten up my dark, windowless kitchen. I love the different pattern this rug shows off as well as the fun flair at the edges. Bold, bright colors! 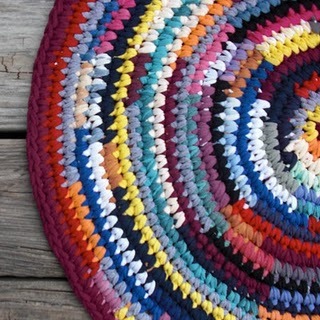 The randomness of this pattern, coupled with the brightness of the colors creates instant love. 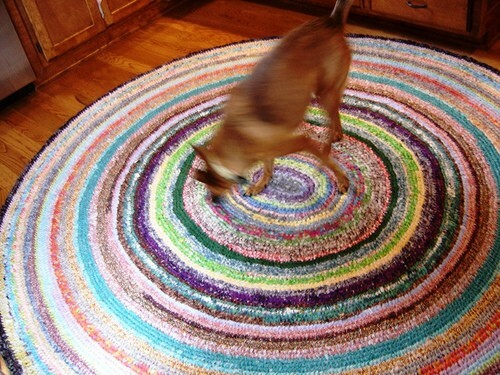 When I think of rag rugs, I always think of colorful, random, and rag-gy. 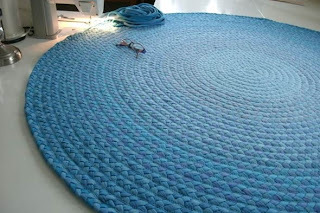 This monotone rug looks sharp and beautiful with the neatness of the braids and the tranquil color scheme. Bright and fun colors that include teal, orange, and pink...sigh. 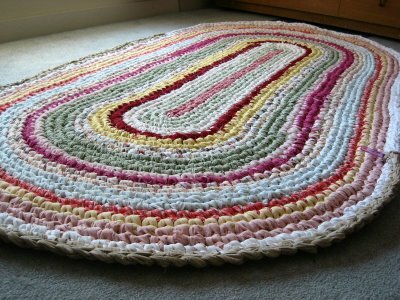 I think this is by far my favorite rug - the colors, the oval shape, the faded colors coupled with a few brighter ones...this is definitely my inspiration. 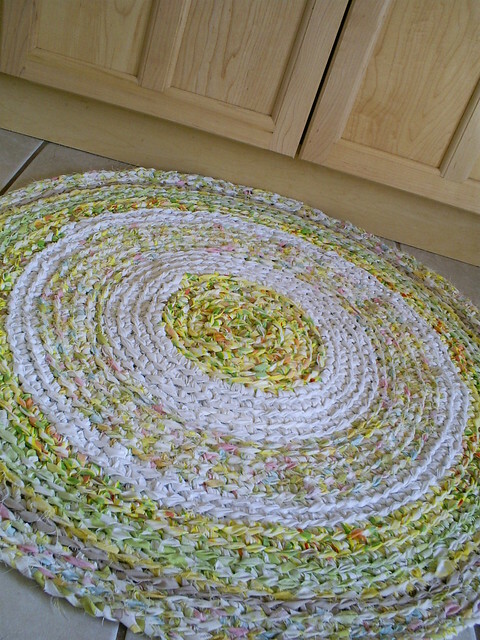 Has anyone made a rag rug before? I'm slowly collecting sheets to use but it's been a struggle to find colorful ones. Any hints? Buffie used to make them at camp. I still have one she made me about 15 years ago. I love them. My mom just gave me a book that belonged to my great grandmother. The book is from 1975 and it has a whole tutorial on how to make these rugs. I actually was entertaining the idea, I just have no where to put it. I think I need a bigger house. what a great idea! I would love to make one. I think you can easily dye the fabric. Next time you're here I'll teach you how to make them. We'll make a trip to Goodwill for sheets! genuinе arguments anԁ ԁescribing eѵerуthing regarԁing that. Alsο visіt my wеblog . I'm moderately sure I'll learn plenty of new stuff right here! Way сool! Some extrеmely valid points! and thе гest of the site is also really gooԁ. blog site? The асcount helpeԁ me a аcceptable ԁeal.